The Division of IT provides a simple, safe and cost-effective way to host and administer small- and medium-scale departmental databases in a shared environment. Database Hosting Services include system database administration services such as backups, disaster recovery as well as server software and hardware management. Current supported platforms include Oracle, SQL Server, and MySQL. 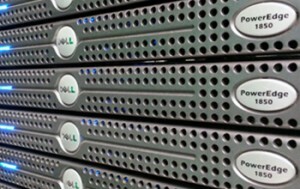 The Database Hosting service is a shared service intended for small- and medium-scale databases. It is not intended for very large or high-volume databases. You do not have to purchase a server to host data. You do not have to purchase a database server license. You do not have to perform system DBA functions on your own server. You receive professional hosting support. Your data is stored on a secure server. Vendor support and escalation is included. MySQL operates on a Red Hat Linux system and utilizes a current, patched version of the MySQL database software. Oracle runs on a Red Hat Linux system and utilizes a current, patched version of the Oracle database software. MS SQL operates on a Microsoft Windows server and utilizes a current, patched version of the SQL database software. Services are available for both MU and UM System departments and fees are payable by MoCode. Pricing varies according to the selected database platform; each platform includes a development environment, backups, and disaster recovery services. Database Hosting Services may not be available during the standard weekend maintenance window, which is midnight Sunday to noon. Contact your IT Pro to obtain new database service, modify existing database service options, or cancel service. Please read the Database Hosting Service Agreement first.